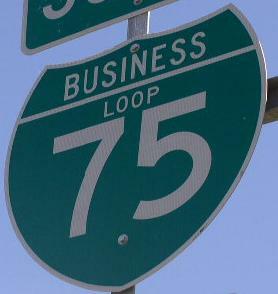 Business Loop Interstate 75 runs north-south through the Pontiac Area. Most of this highway runs with BUSN U.S. Rt. 24. BUSN Loop I-75 passes through the following towns in Oakland County. BUSN Loop I-75 is multi-plexed in Oakland County. BUSN U.S. Rt. 24, from Pontiac to Bloomfield Township. BUSN Loop I-75 crosses the following highways in Oakland County. Interstate 75, at Auburn Hills. Michigan State Route 24, at Auburn Hills. BUSN U.S. Rt. 24, at Pontiac. 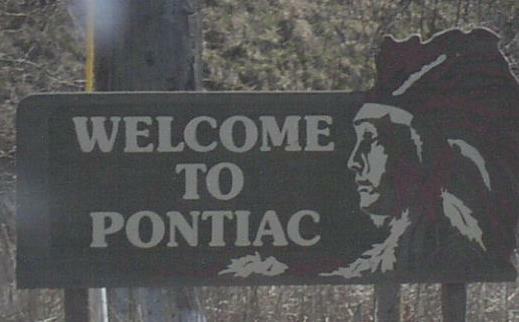 Michigan State Route 59, at Pontiac. BUSN U.S. Rt. 24, at Bloomfield Township. Michigan State Route 1, at Bloomfield Township. Interstate 75, at Bloomfield Township.